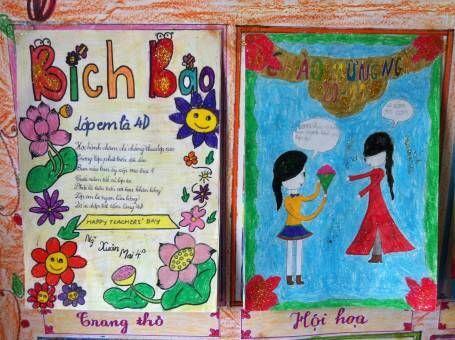 Did you know that November 20th is Teachers’ Day in Vietnam? Yes, that’s right, in Vietnam there’s a whole day set aside each year for students to give thanks to their hard-working teachers and shower them with adoration. Although there’s an International Teachers’ Day on October 5th, it isn’t really celebrated in the UK, so I think I definitely picked the right country to start teaching in! 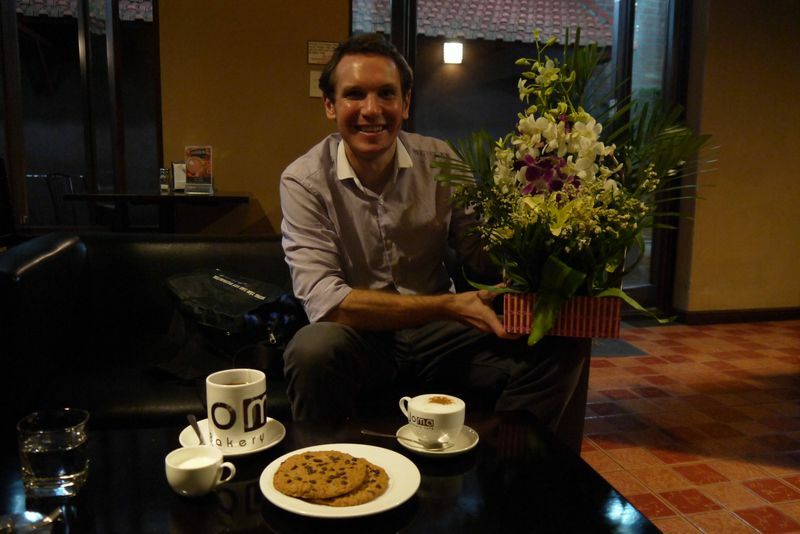 Here’s a look at our first Teachers’ Day in Vietnam. As we found out, Vietnamese Teachers’ Day is a big deal. Shops stock cards for the occasion and students spend hours making elaborate posters, composing poems and writing articles to express appreciation for their teachers and there’s a competition to decide which class has created the most beautiful display. The language centre provided each of our classes with a tree poster and individual paper petals which the students could write messages on before sticking them to the tree. 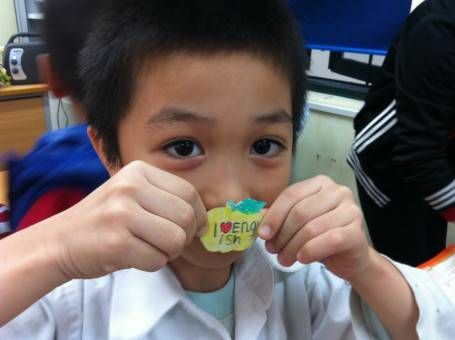 “Happy Teachers’ Day,” “Thank you Teacher,” and “I love English,” were some of the messages our kids left for us. On the week of the big day itself we were informed that we’d get the day-off school, a welcome surprise, even though it would mean we’d miss out on a day’s pay. 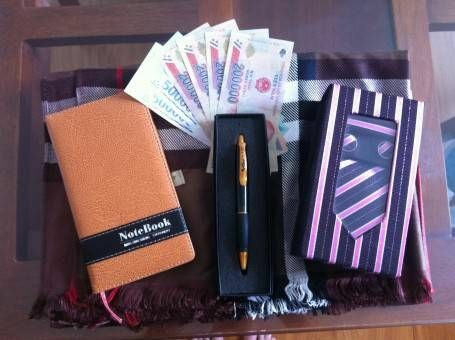 To our astonishment, throughout the week we were presented with cards and envelopes of cash from the teachers in one of our schools; several classes even gave us gifts of a notebook and pen, tie, scarf and cufflinks for Andrew and a huge bouquet of flowers. I was serenaded with a special Vietnamese song by one of my classes and best of all, we received a few hand-made cards from some of our students, one of whom wrote me a lovely poem. Like Mothers’ and Fathers’ day in the UK, shops get in on the action. Special Teachers’ Day cakes are sold and our favourite bakery was giving away free drinks for teachers on the 20th November. On the day itself there are no formal lessons but students put on a display to honour their teachers with special dances and songs. As I’ve now found out, over 100 countries in the world have a dedicated Teachers’ Day and it’s a great way to honour the vital contribution teachers make to a society. I know plenty of teachers in the UK who’d welcome a bit more appreciation for the work they do! Is there a Teachers’ Day in your country? What a lovely celebration! I really like the idea of giving thanks to school teachers – it’s not something we do in Denmark, but it would be great if we did. I can only imagine how appreciated you must have felt all week. It must be so rewarding to know that you’re making a difference in these kids’ lives. So cute – but “Bich Bao”? What’s that? How sweet! I love the poem you got – too cute! I know Emily, so cute! 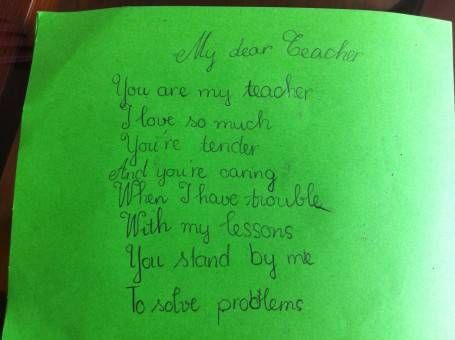 We do have teacher’s day in Brazil and my sister loves it, since she is an English teacher there. How cute are these kids and the poem is so lovely. I am sure you both felt very special and appreciated. Interesting to hear about Teachers’ Day in Brazil Gilda; I really think the UK needs to get in one the action too!